This week we’re tooting our own horn a little. 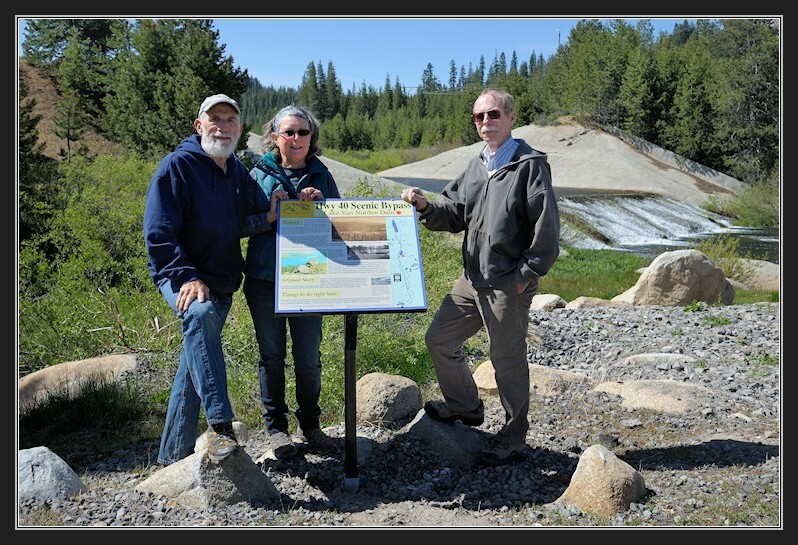 Linda and I installed our Historic Hwy 40 sign on Van Norden dam with Bill Oudegeest this week. We are proud to sponser this sign on one of our local landmarks. Kudos to Bill for the great work he does with the network of signs he has installed up here on the summit.